- International magazine "ART & BUSINESS"
Fotos and best moments you can find in our photo gallery. Welcome to our 10th Russian Ball! 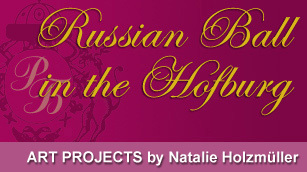 On 12th of February, the imperial Residence Hofburg will open its doors for quests of the 10th Russian Ball. The magic atmosphere of the festive event will charm everyone who comes this night. This year due to difficult political and economic situation it took us a lot of efforts and courage to organise this ball. But we have managed it thanks to belief and positive energy of like-minded people: the cooperation and teamwork showed again its power. We use our creativity and love to make this ball very different from all others taking place in Vienna. This evening should be not just a ball but also an unforgettable experience. You will be impressed with the lavish decor of the historic residence of Austrian emperors, sumptuous dinner and superb performances. It is very friendly, cosy, alive, and full of joy, smiles, dreams, great music and theatrical impressions. I welcome you to the ball and promise you a great mood during the whole evening! Fine art of the highest order, gourmet treats among international high society. The highlights of the 9th Ball you can find in our Photo gallery. Fotos and best moments here - Photo gallery. The highlights of the 6th Ball - in our Photo gallery. On Friday, 3rd of December, friends of the Russian Ball met at Lobmeyr Kärntnerstraße to get a joyful foretaste of the upcoming celebration. Dr. Erhard Busek, who was recently named president of the EU-Russia-Center in Brussels, emphasizes the importance of cultural contacts for the Austrian/ Russian relationship in his welcoming speech. The thanked Russian ball host Nathalie Holzmüller for her dedication in intercultural communication and highlighted the Russian Ball as an important contribution to represent Russian Culture in Austria as well as to help creating a new Europe. The fifth Russian Ball was presented in the gallery of world-famous Russian artist Ilja Glazunov in Moscow. Russian Ball host Nathalie Holzmüller advertised the outstanding program of the Anniversary-Ball in this fantastic location. 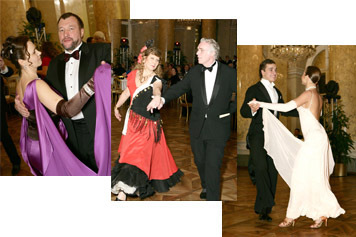 The extraordinary ball event takes place on the 18th of February 2011 under the motto “An Alliance for Good” in the Imperial Palace Vienna. Special guest will be Tatjana Petschnikova, soloist of the “new opera” in Moscow. The winner of the Golden Mask and the Casta Diva award will open the ball program. Many great partners are supporting the fifth Russian Ball; one of them is the academic state theater “Moscow Operetta”. 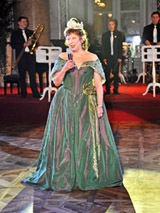 Clippings of Russian Operettas are shown during the ball to emphasize this year’s theme “Operettas”. Further partners and participants are the dancers from the Moscow state “Music Hall”, the dance ensemble „Alania“ and soloists from the Vienna State Ballet and the Viennese Ball Orchestra. Welcome to our 5th Ball! The fourth Russian Ball took place on Saturday, 19th of February, under the motto “crown of diamonds”. My special thanks go to all participants, co-operators and partners who made this evening truly unforgettable. Members of the Honorary Committee and artists from the Mariinsky Theatre, the Comedy Theater St. Petersburg, The Moscow New Opera Theater and the state theatre for opera and ballet of the Republic of North Ossetia-Alania all contributed to the incredible program, and without which this event wouldn’t have taken place. This year’s highlight was the outstanding performance of Tatjana Petschnikova, prima donna of the “new opera” in Moscow. The winner of the Golden Mask and the Casta Diva award inspired the audience with a stunning interpretation of Casta Diva from Bellini’s opera Norma. Stella Iljitscheva, president of the Galla Dance “Krestovsky“ club and dancing coach Egor Schemetov acted as moderators on the ball-night. Collaboration with the Comedy Theater St. Petersburg and its well-known director Tatjana Kazakova was a tremendous success. The actors presented a stunning show in opulent costumes, reflecting all sides of Russian culture and aesthetic vitality in a completely unique way. Our cultural ambitions - combining tradition and modernity, the past and the future – were realized in the shape of renowned stars like Larissa Gergieva, as well as celebrated performances by young talents such as Andrej Serov and Gelena Gaskarova of the academy of young singers (they were also present at our first ball in January 2007). 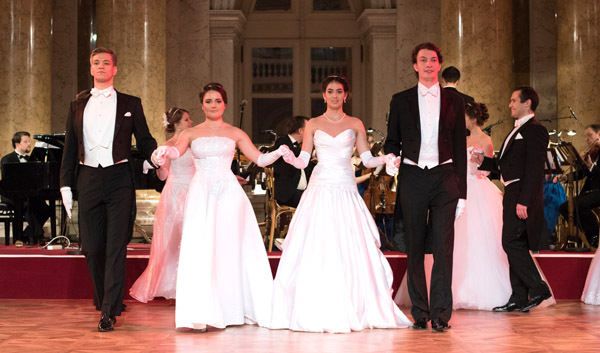 Thanks to the attendance of these amazing artists, the Russian Ball was named the 6th best ball in Vienna (out of 300 balls, as awarded by the ORF). Every year, we attract an international rostrum of guests – from Austria, Germany and Norway; England, France and Italy; Bulgaria, Russia, USA and North Ossetia. Moreover, we are delighted with all the interest and attention from the international media. The First Russian TV Channel “Westi” attended the ball for the second time; a special documentary, illuminating all the glitz, glamour and celebrity of the event was broadcasted several times on Russian TV and the TV channels Zwezda, Austria 9 and the ORF also sung its praises. The press agencies ITAR-TASS and RIA NOWOSTI also spread the word in Russia. The magazine VIP-Premier and the newspaper Rossijskije Westi were not shy in telling their readers just why this ball was so spectacular. And it is no wonder. Our guest received VIP treatment, in an atmosphere that harks back to Russia’s golden era. Creating an environment where guests could mingle together inside magnificent opulence, the ball’s organisers and artists did their part to keep the Russian spirit of art and culture alive. We look forward to welcoming you to the next Russian Ball on the 18th February, 2011, taking place at the Imperial Palace under the motto “An alliance for good”. Valery Gergiev: All of us are taking the thoughts for the morrow and we have to solve a plenty of problems to have been raised by the present crisis. I have also got those problems as a director of the theatre where more than one thousand people work. However the music is always in want including the hard times too. So we could not leave the Russian Ball in Vienna without any support. Because such an action serves to popularization of Russian cultural traditions whose sprouts open their way all over the world more and more actively now. It is especially fine that young artists of the Mariinsky Theatre can demonstrate their skills here. Look! What a wonderful brass ensemble we have got! It may be said that they were holding out the whole Ball on their lips. The fellows were playing brilliantly, masterly. They are gifted, young and handsome. In a word, they are the bright representatives of Russian musical culture and Vienna’s citizens would reckon with its power even though in some way they feel their distinctive position in the world of music. Maxim Vengerov: I believe that a tradition of Balls should be revived and I know that in Russia and in Saint-Petersburg in particularly that tradition is being renewed now. It is very symbolically that the Russians are carrying out their Ball in Vienna because Vienna is a city famous for its Balls. To know how to merry is a rather important thing and what can be else but the dance that inspires people to the positive emotions! To dance, to associate with people, to listen to fine music – it is great! And it has been developed in Vienna at a big scale. That we have arrived here is conductive to strengthening the relations between Russia and Austria as well as it symbolizes the flourishing of the Russia culture. The Balls are a peculiar form of propagation of Russian culture. They give an opportunity to look at Russia from the other point of view. Being carried out together with the Mariinsky Theatre and under the supporting and personal participating of maestro Valery Gergiev, Russian Balls in Hofburg are a sample of cultural cooperation and a platform for becoming good friends. Thank You very much for giving us that Holiday! We are so glad to be able to plunge into the atmosphere of Vienna’s Balls. And even if that Ball was not a traditional one but it was definitely one of the most beautiful ones. Two superlative maestros, the stars of the Mariinsky Theatre! It is unspeakably, only an envious person would tell that the Ball did not succeed. We asked the guests, - people were happy, and it is the main thing! Ivan Glazunov: That Ball – is an other side of today’s Russia. Those events are timeless, they prove that Russia is living by not only “the mass media” but by the culture and the music. They are also certifying that there is the classic which is attacked but it exists and it will exists. Art Projects © 2007-2019. All rights reserved.